R.Paddock, Birmingham: "Restored our old worn doors back to as new condition with a new gearbox and a bit of TLC"
K.Perrin, Birmingham: "Adrian adjusted our doors after the hot weather warped them. Probably saved us a bit of money in the long run as we had been forcing the lock to lock each evening." I'm well aware that most of the double glazed door and window firms would rather try and sell you a complete new door and window than recommend a repair to a double glazed door lock. It takes years of experience working with double glazed doors to attain the necessary skills to repair these finicky locks. 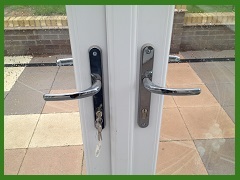 With several years experience in the door repairs industry I have built up an extensive knowledge of uPVC door locking mechanisms and know how to unjam, repair and replace them when they fail. uPVC doors account for a large proportion of my work in Birmingham so it goes without saying that I'm your go to guy when it comes to door repairs. 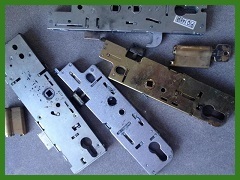 If your door is feeling stiff to lock, crunching upon lifting the handle, has a drooping handle or totally jammed closed then it is likely you either require hinge adjustments or a replacement gearbox mechanism. Whether you want to book yourself an appointment or just want to ask questions, I'm happy to help and advise on the number listed above. It's not just double glazed door locks that I repair. 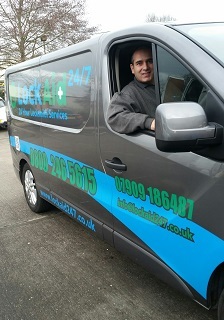 I stock an extensive range of door parts for the repair and replacement of all domestic and commercial doors. 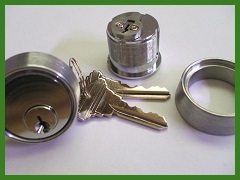 I have a large network of trade contacts and am able to source specialist or older parts to repair aluminium door locks, roller shutters and doors with special access requirements. 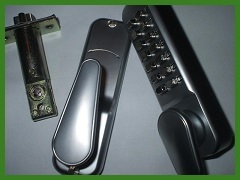 Having repaired doors in the Birmingham area for numerous local businesses, schools and shops you can trust and rely upon my locksmith and door repair services 24/7.